Welcome to YATS episode 53. 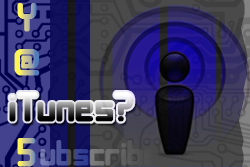 This is your weekly technology podcast aimed to give informative yet entertaining tech discussions. We take the more interesting tech stories from the week, digest them, discuss them and sometimes laugh at them. This week we’re joined by Chris Miller and Richard Hay. And of course the regular crew includes our producer Mat Lee, Larry Press, Mike Rothman and myself, Ant Pruitt. Check out all of our personal social media connections and share your thoughts with us. Let’s not hold this show up, check out this week’s show notes. Our resident Android lover, Mat, has taken a ride on the wild side of Windows 8. He has a nice touch enabled Asus notebook that seems to be just great for the Windows 8 modern interface. All is well until Mat decided to create an additional user account. Captcha anyone? BlackBerry CEO Thorsten Heins says that tablets will be “dead in five years.” We all initially thought Heins was just delusional. His company’s only tablet device was one of the biggest flops in the tablet market. It couldn’t even keep pace with the Kindle Fire. We laughed, but Chris Miller brings up a good argument. Maybe the tablets are going to get smaller. Maybe approximately at 6 inches in size. This way the device can have a cellular radio inside for phone calls. I personally don’t think the tablet is a good device for business productivity. I believe it’s more useful for content consumption whether it’s print or video. The only use case for work I use personally is for note taking while on conference calls at the office. I tried to use voice dictation to record the call, but of course it wasn’t perfect. Are pyramid schemes back? In the form of mobile cell phone coverage and sales. Solavei is offering inexpensive 4G coverage and smartphones for consumers to add more competition to the smartphone market. This comes with a price, though. Somewhat. Getting these great rates means you’ll have to take your plan and advertise it to other consumers. If those consumers sign up, you get a small perk towards your billing. The more you refer, the more you’ll save and even earn. Just like an old pyramid scheme of yore. Our resident educator, Larry, found some news of Google offering a Massive Open Online Courses. The project is currently called Course Builder. 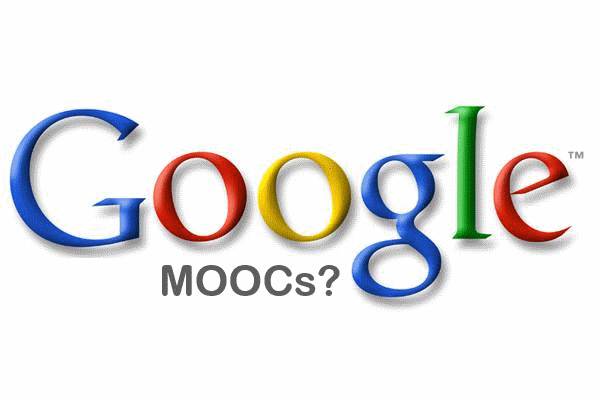 Larry asks why Google doesn’t offer MOOC’s as a service just as it other online services are offered. We have simple integration with our social platform (Google+), our messaging with Gmail or gChat as well as with Google Docs. All of these tools in place are useful in supplementing your educational experiences. Google can take over the world with its hand in the ISP business as we mentioned in our previous episode, but add this feather to Google’s hat and there just may not be any stopping the web giant. See more of Larry’s thoughts on this topic on his blog. Larry found a story from the Smithsonian sharing an actual recording of Alexander Graham Bell reading his notes. The audio quality of this feed is a little poor, but what do we expect? Cassette quality should be just fine for our ears considering the original source. Take a listen to it on Larry’s blog. This makes us think about how technology is changing faster than we may realize. But then again, the technology changing may be all about pertinent motivation. Did you know Amazon offered a locker service? No, not the cloud storage, but an actual place to store your local deliveries. Richard Hay explains that there are shipping size and weight requirements for this convenience service. It’s not available in all areas, but this basically gives you a secured place to have items delivered. Sometimes, you may not be able to accept deliveries at home or even want them at the office. This is yet another option of convenience from Amazon. What’s next, same day delivery? That’s going to do it for YATS this week. We thank each of you for your continued support of our podcast. We’re not your typical talking heads of tech, but tech evangelists that want to bring you informative and entertaining tech discussions. 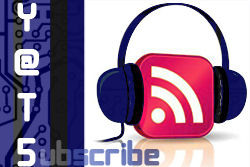 Be sure to check out our social connections first by going to our Yet Another Tech Show Community on Google+ and our iTunes, Stitcher and RSS feeds. Be sure to leave us a rating and comment each time you check our feeds. Thanks again, YATS squadron!